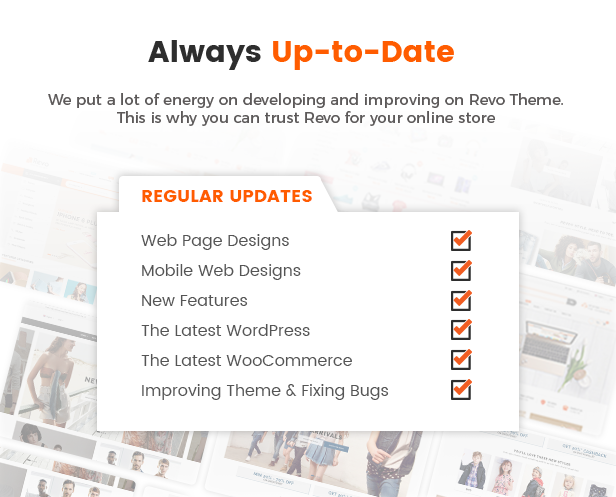 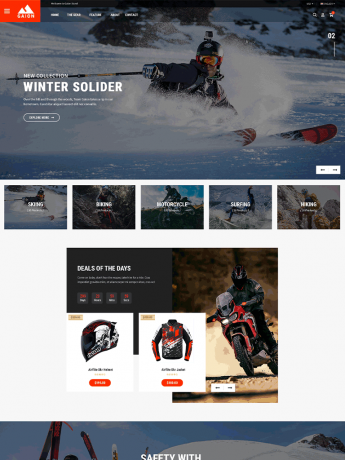 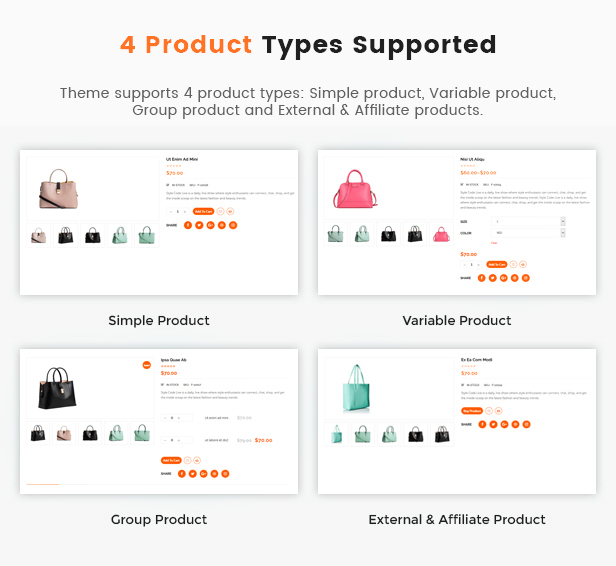 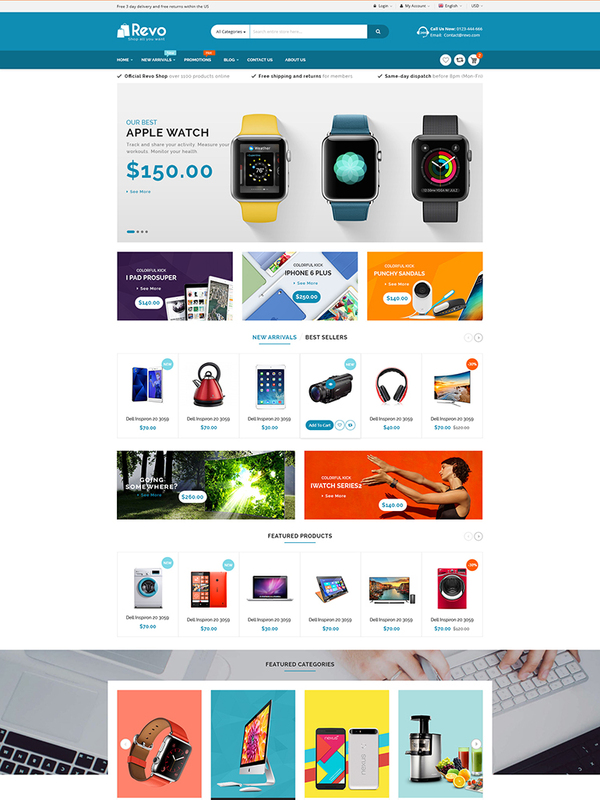 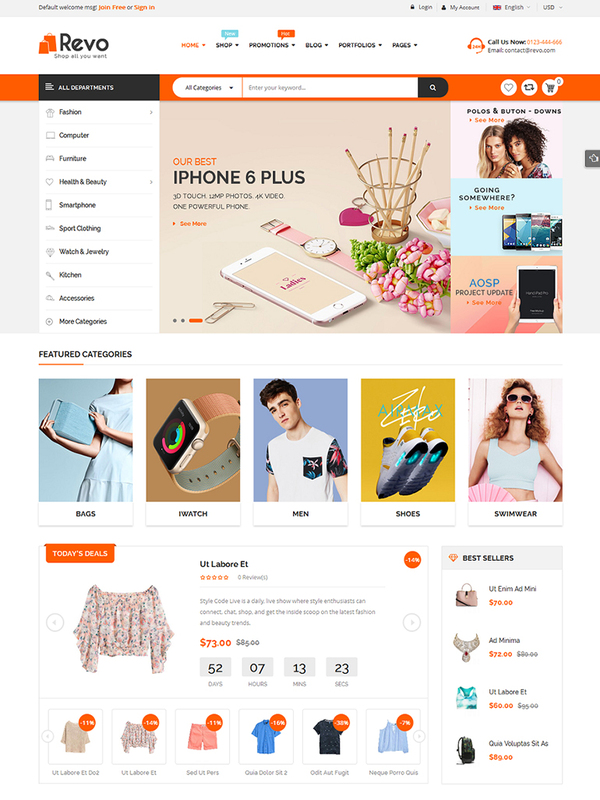 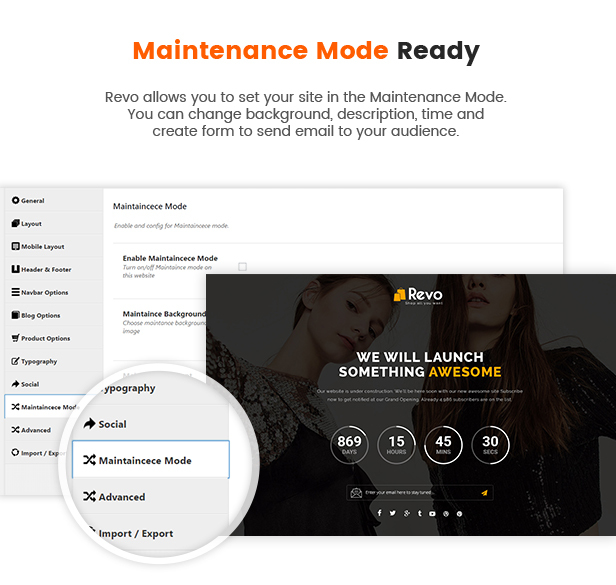 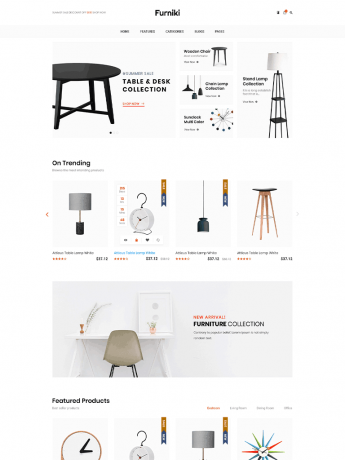 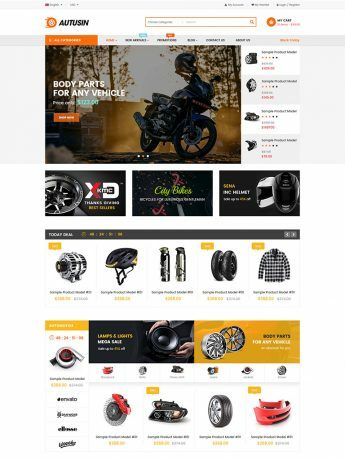 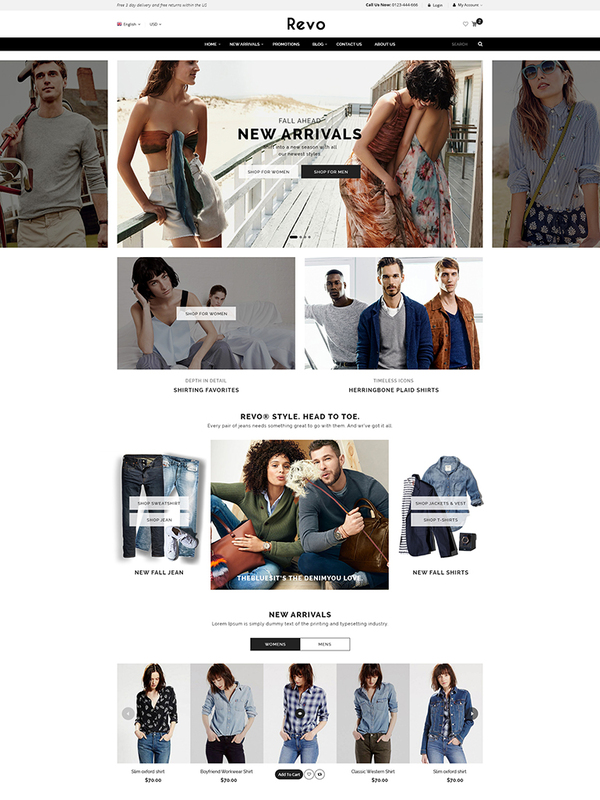 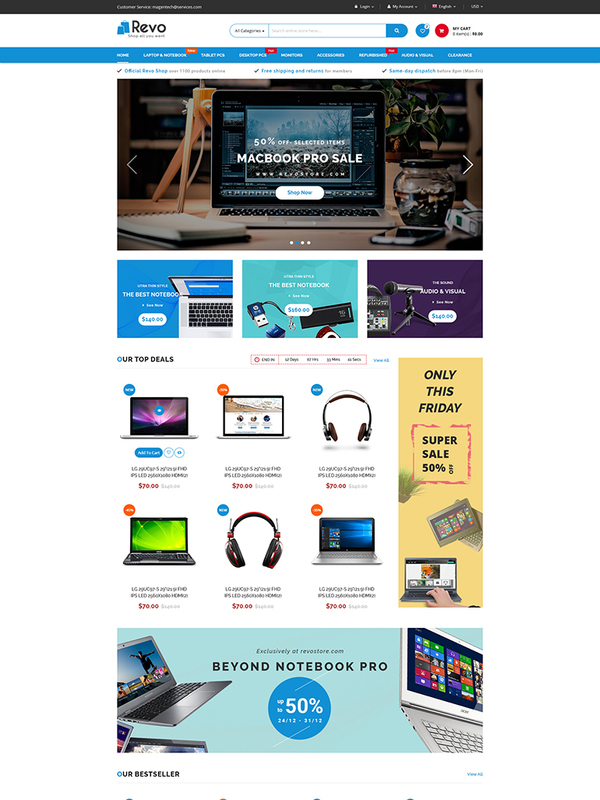 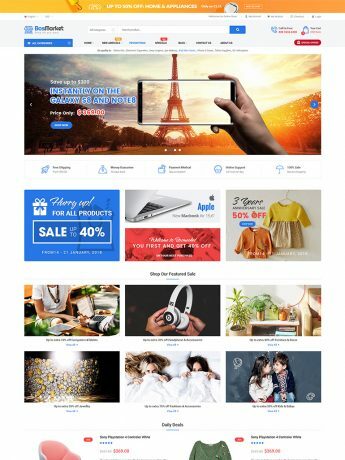 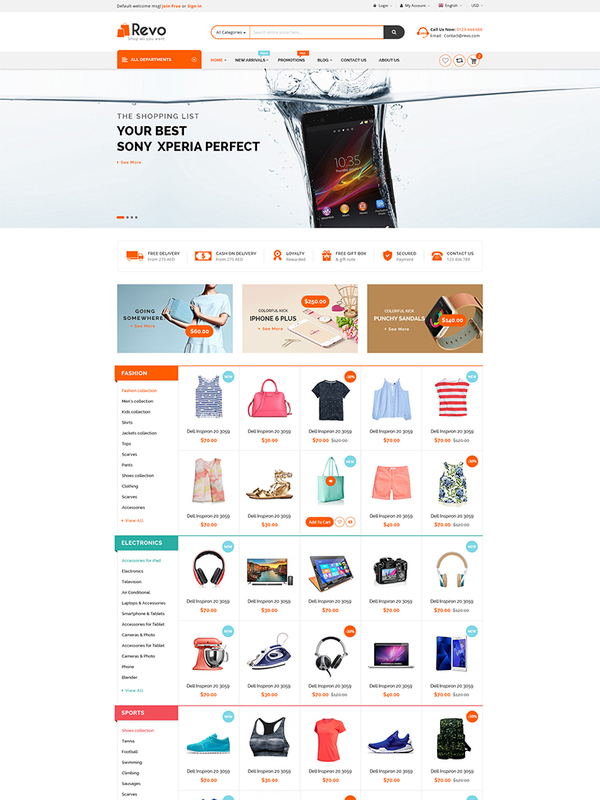 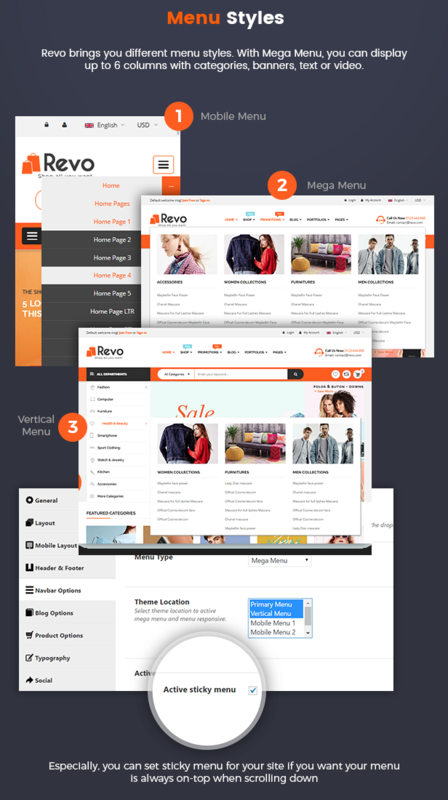 Revo is a premium multipurpose WooCommerce WordPress theme that is created to fit any online shopping stores or marketplace including multi-category store, fashion shop, kid fashion shop, furniture store, hitech/digital/electronic store, organic shop, cosmetics store, gift shop, Christmas gift/greeting card/decoration shop, book shop, watch store, gaming gear, medical store, flower shop, wedding store and more. 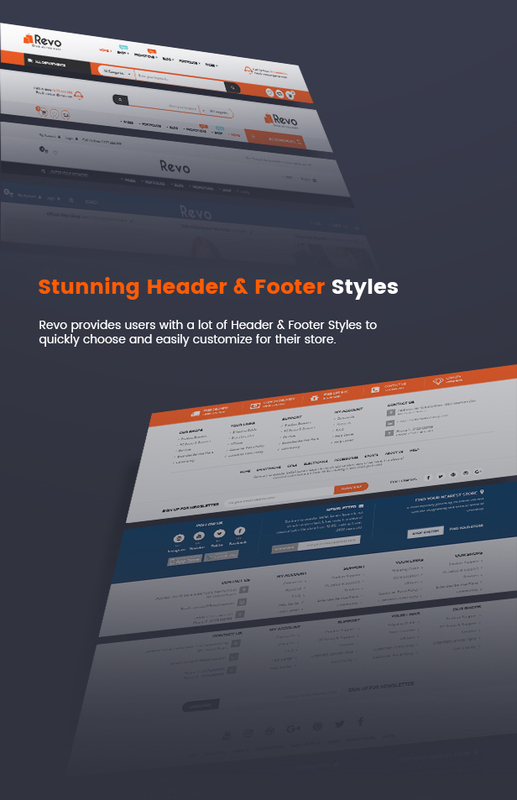 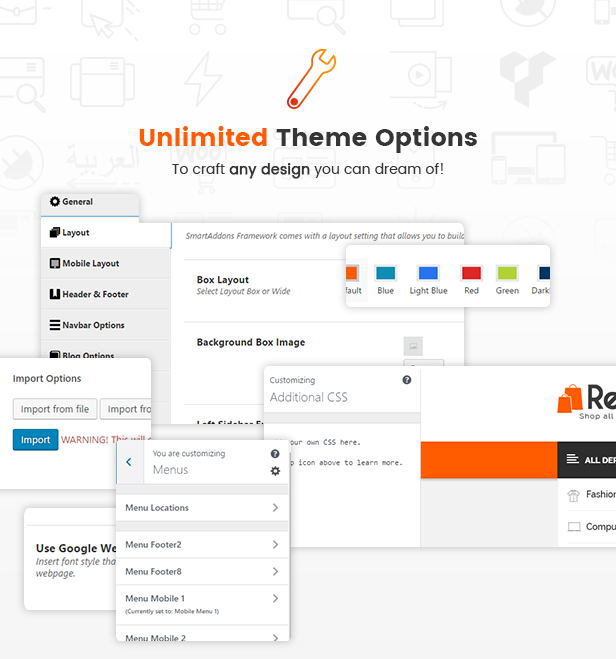 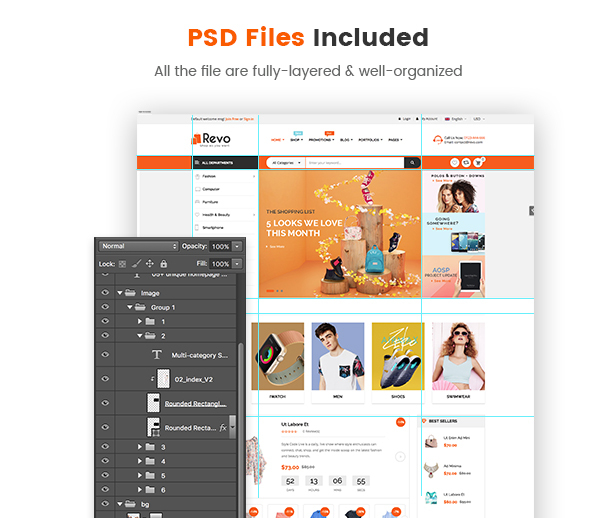 Revo is extremely customizable with 25+ unique homepage designs, 5+ mobile-specific layouts, multi-vendor support and tons of powerful theme options that allow you build and manage an online shopping website with ease. 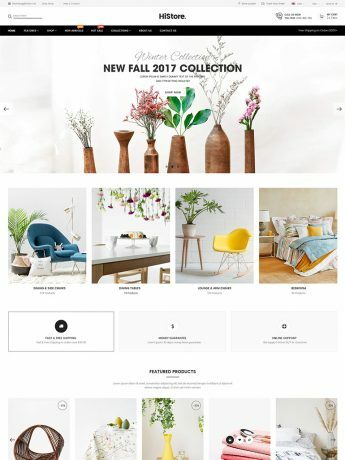 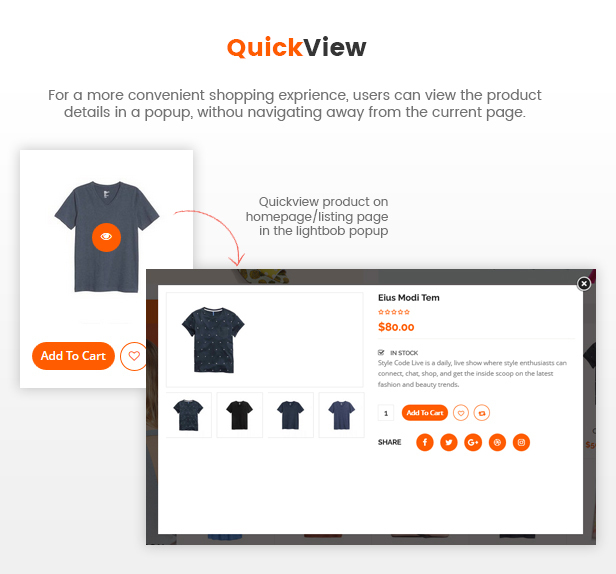 Furthermore, with the new One Click Demo Import, you can quickly get a complete website look like the demo just in a few minutes. 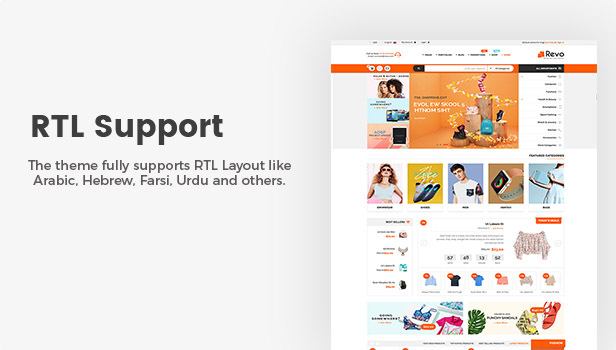 ✔️ Dedicated Support: Contact us anytime at our Official Support System to get help in every business days. 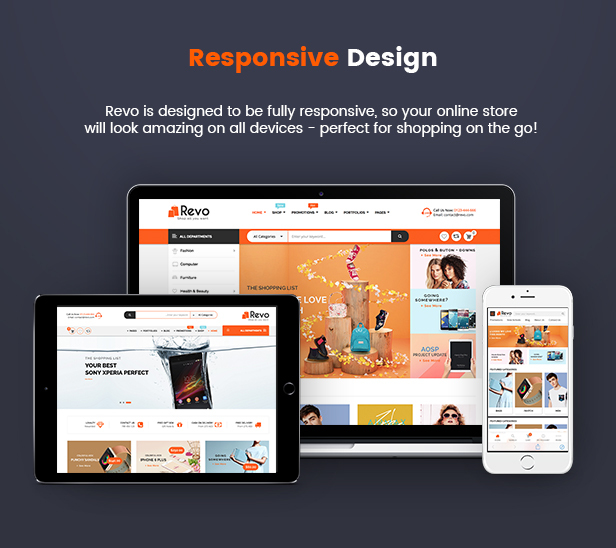 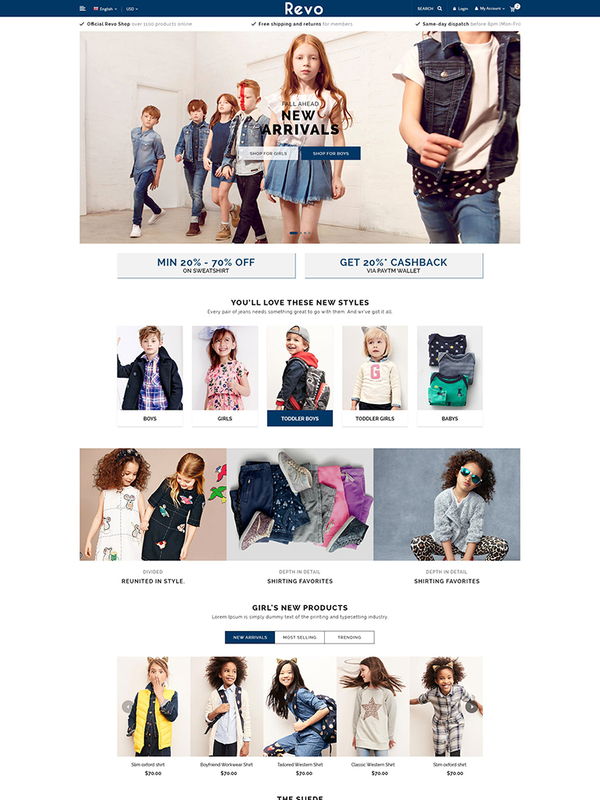 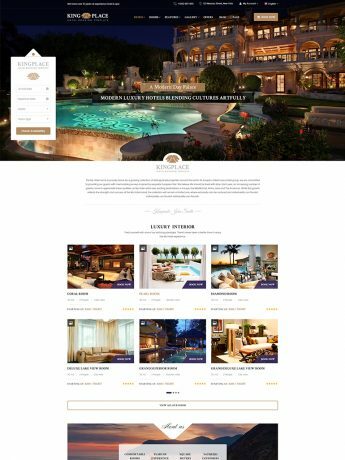 Unlike other themes which support responsive layouts only, Revo is built with both responsive layouts and mobile-specific web designs with full of shop features, specifically designed and developed for mobile devices. 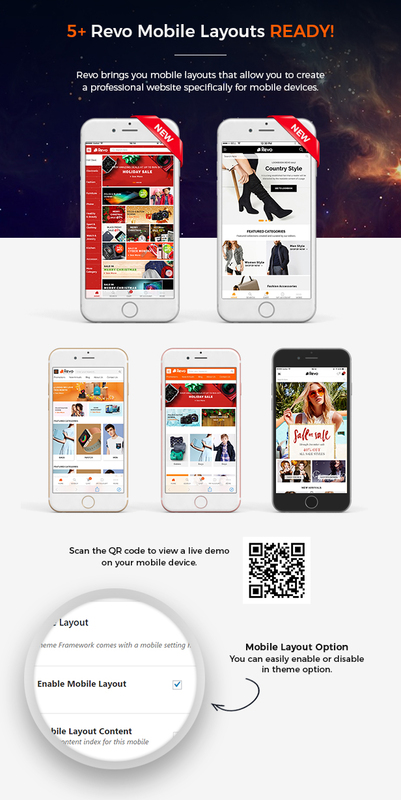 This is the trend of online store this year – when using and shopping via smartphones is increasing rapidly! 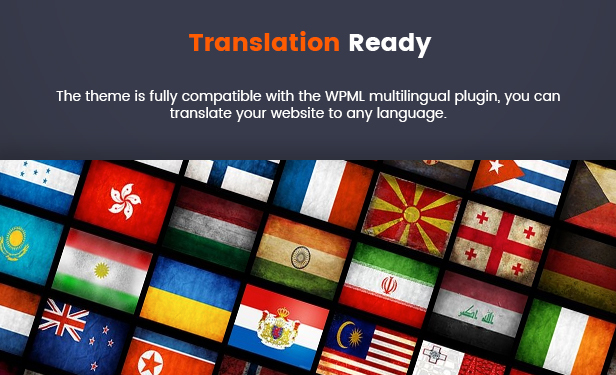 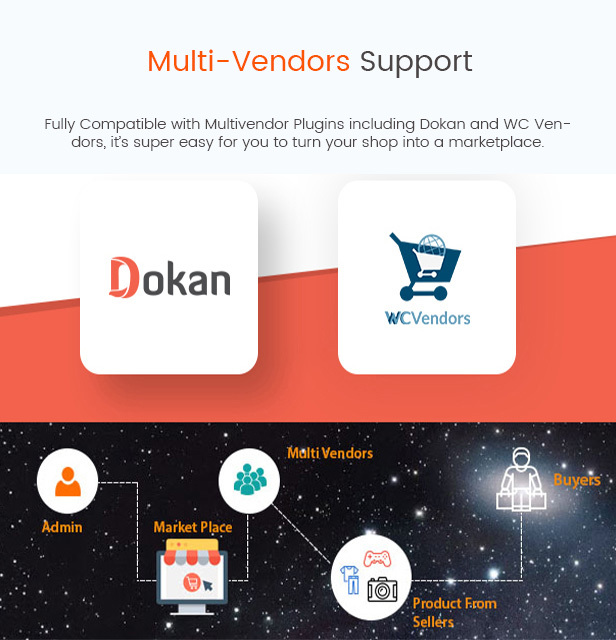 Revo is fully compatible with Mulitvendorplugins like Dokan Mulitvendor, WC Vendors and WC MarketPlace. 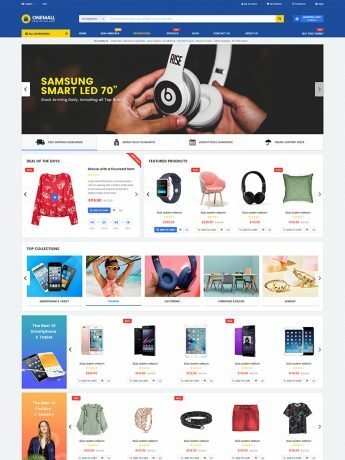 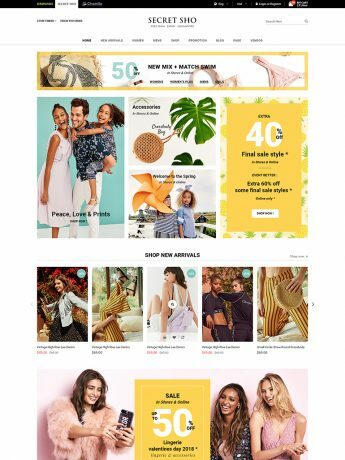 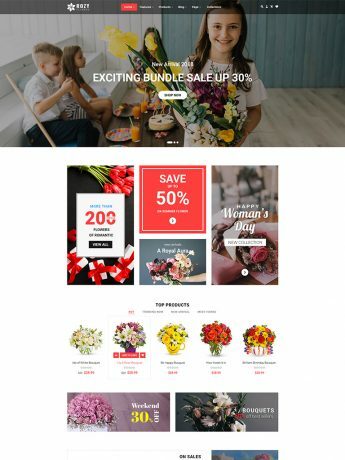 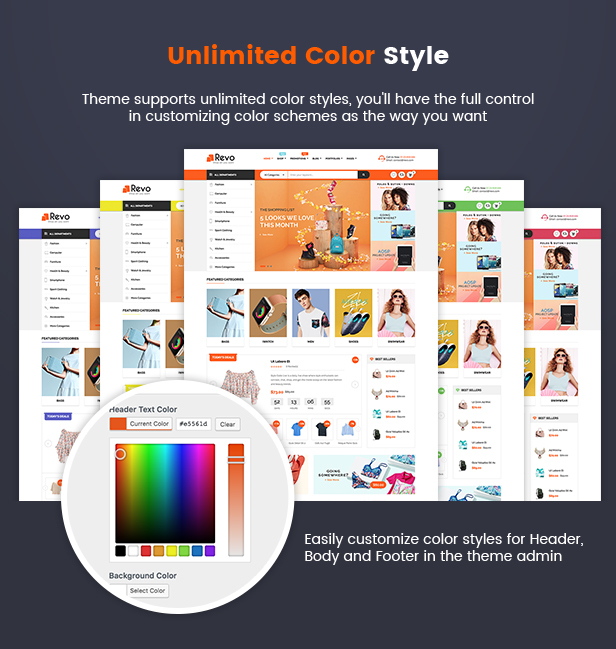 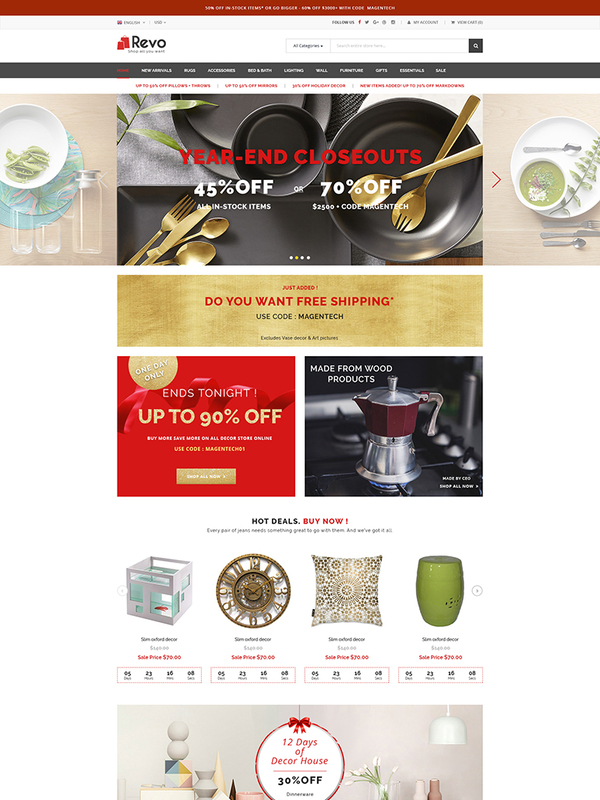 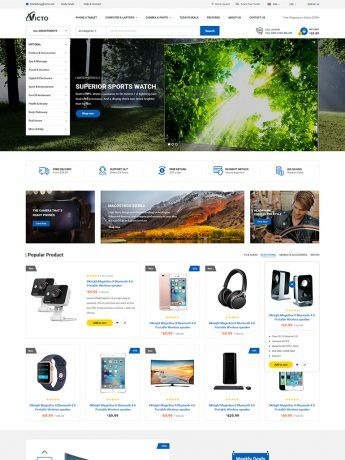 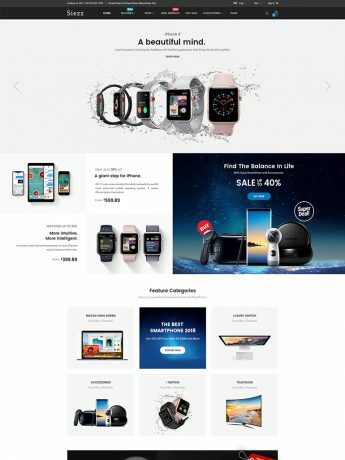 25+ Homepage Layouts: Different Homepage Styles for Multi-category Shop, Fashion Shop, Kid Shop, Furniture Store, Hitech Store, Digital Store, Electronics Store, Organic Shop, Cosmetics Store, Gift Shop, Christmas Shop, Watch Store, Gaming Gear, Flower Shop, Wedding Store and more. 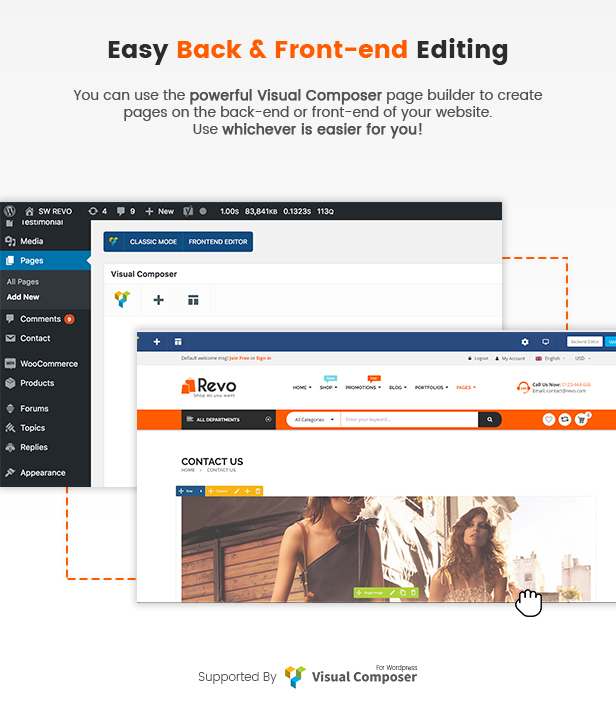 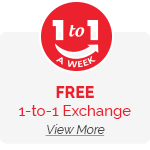 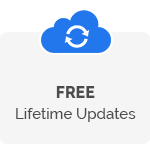 Copyright Text: Easily change copyright text in the footer as the way you want. 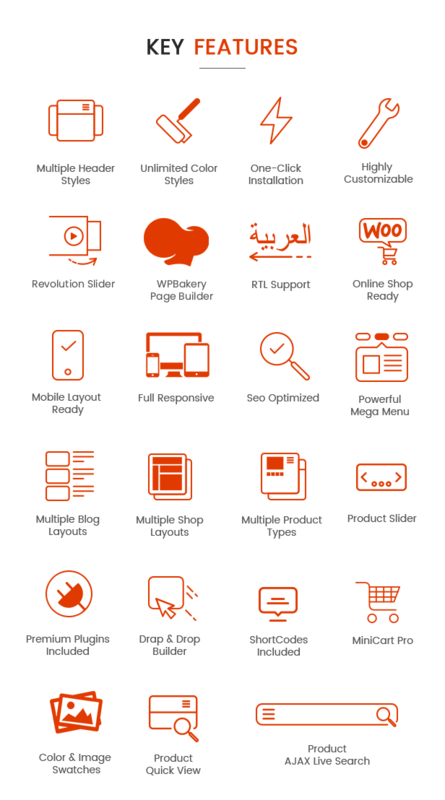 Mobile Layouts Ready: 5+ Mobile Layouts, 3 Mobile Header & 2 Mobile Footer Styles, specially developed for mobile devices. 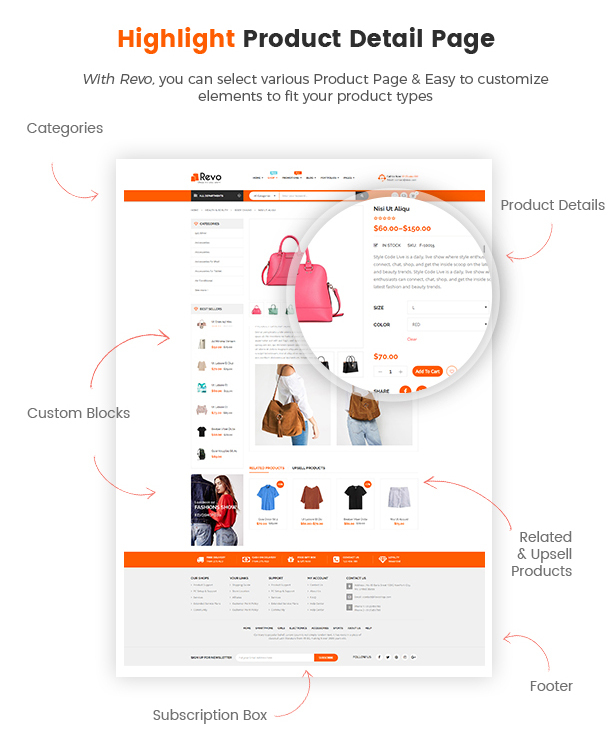 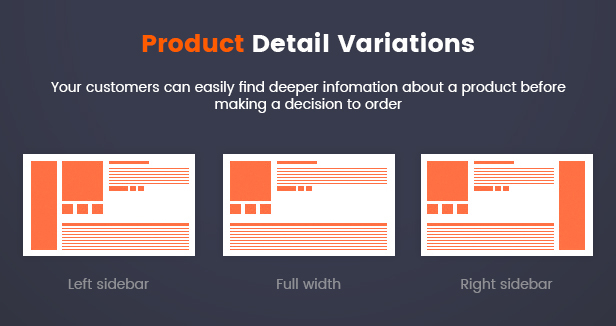 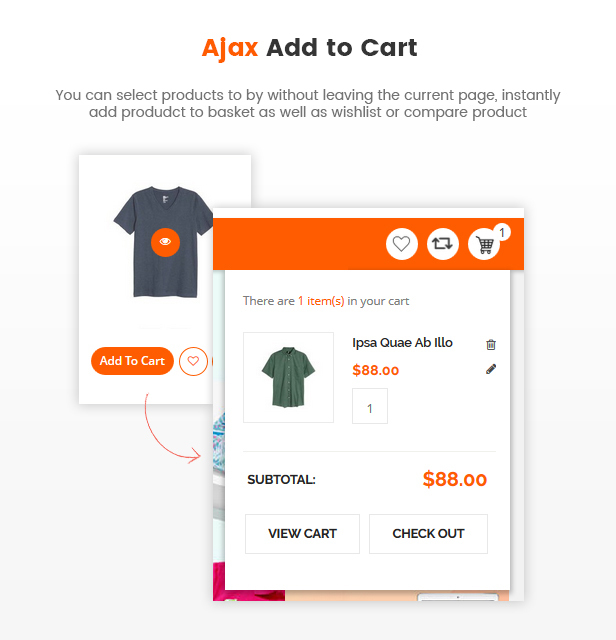 Theme Option – Title Length Of Item Listing Page to set the quantity of product’s title and post’s title on the listing page. 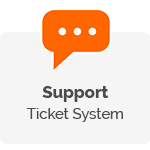 Ticket Support: Submit a ticket about your problem here to get help from the support team. 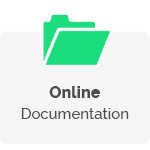 All your information will be kept confidential.